Focal's popular line of flax speakers has been well-received by our customers. Focal's popular line of flax speakers has been well-received by our customers. Now Focal has woven this successful design into a high-performance in-ceiling speaker. The 300 ICW 8 is an excellent choice for a custom-installed music system. Or use a pair for the Dolby Atmos® channels of your Focal Dôme Flax home theater system. 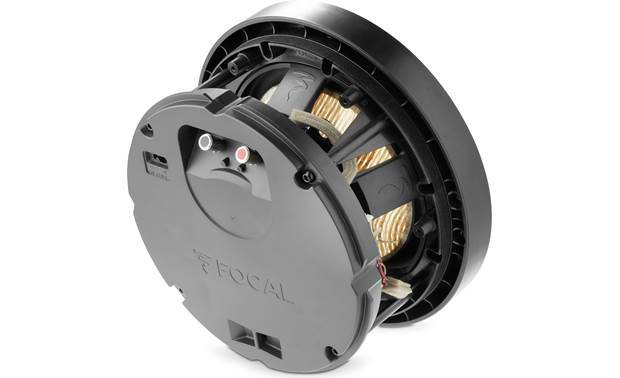 Focal uses flax fibers to create a very rigid, lightweight cone for the 300 ICW 8 in-ceiling speaker. 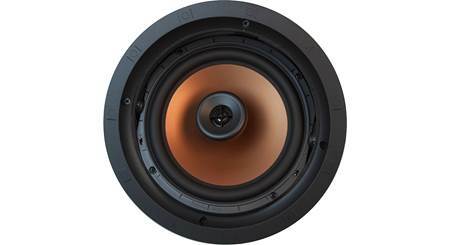 The 300 ICW 8's 8" woofer is made from an exclusive flax cone material. A layer of hollow, ultra-lightweight flax fibers is sandwiched between two thin layers of glass. 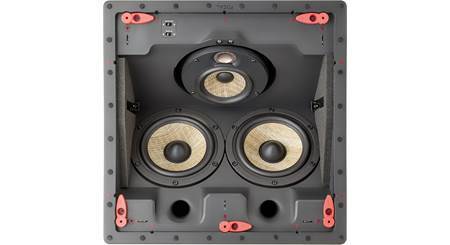 These extraordinarily light-yet-rigid woofers deliver rich, uncolored midrange and tight, natural bass. 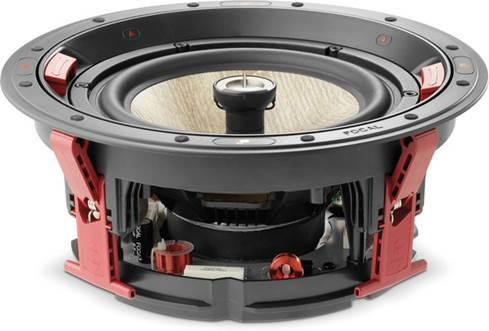 This speaker's other driver is also unusual: a 1" inverted dome tweeter crafted from magnesium and aluminum. 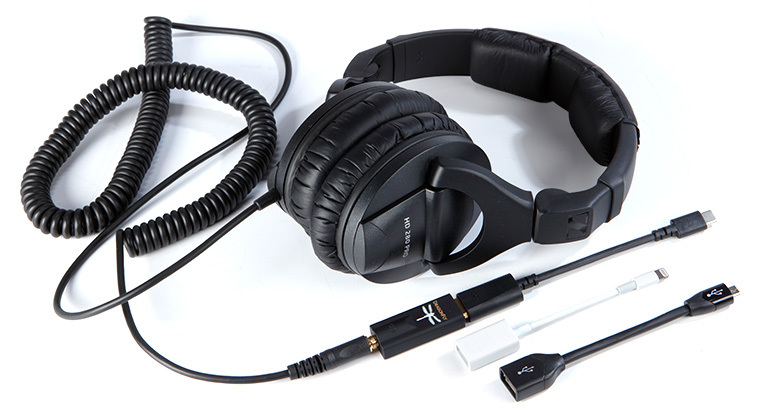 Its fast, accurate response allows detailed, dynamic highs that extend all the way up to 28,000 Hz. The 300 ICW 8 includes two grilles — one square and one round — that you can paint to match your room's décor. Plus, they're magnetic, so attaching them is a breeze. If this is a do-it-yourself install, check out our guide to installing in-ceiling speakers, along with our selection of in-wall speaker wire. 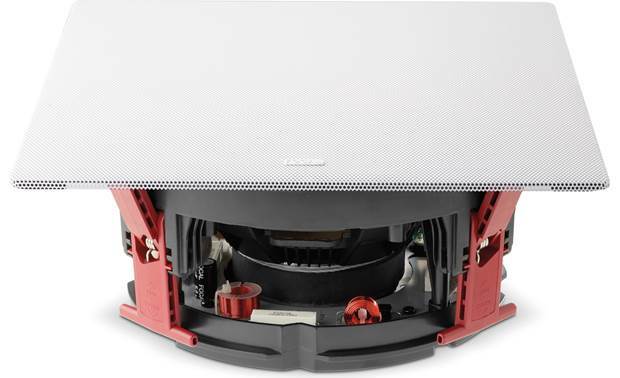 In-Wall/In-Ceiling Speaker: The Focal 300 ICW8 two-way, in-wall/in-ceiling speaker designed for home applications and suitable for any size room. 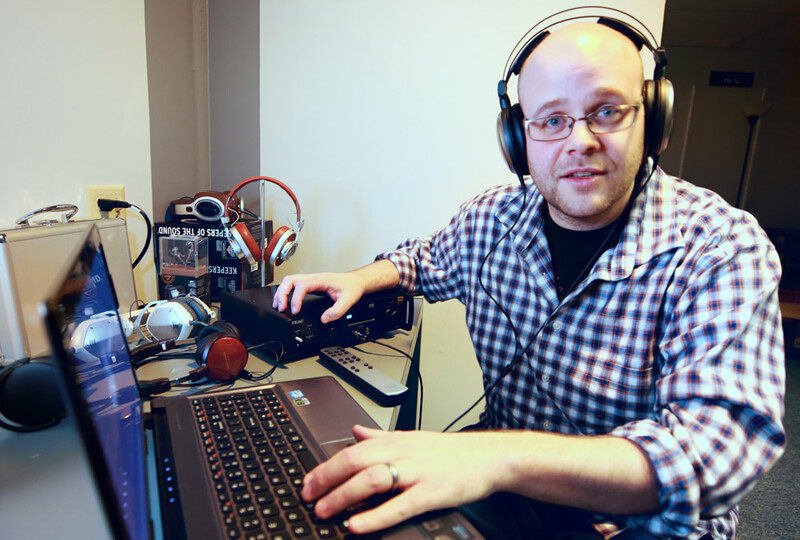 It can be used in distributed systems, like hallways and living areas, stereo systems for living rooms and bedrooms, as well as part of a home theater system. Drivers: The 300 ICW8 features a 8" Flax cone mid-bass driver and a 1" aluminum/magnesium inverted dome tweeter. Flax cones produce a natural and accurate sound with great intelligibility, ideal for movie dialog. The tweeter can be rotated 360˚ and tilted up to 20˚ for a more focused sound, and includes a 3-way switch on the rear of the speaker for adjusting the output level according to the acoustic environment with selections of -3dB, 0dB, and +3dB. 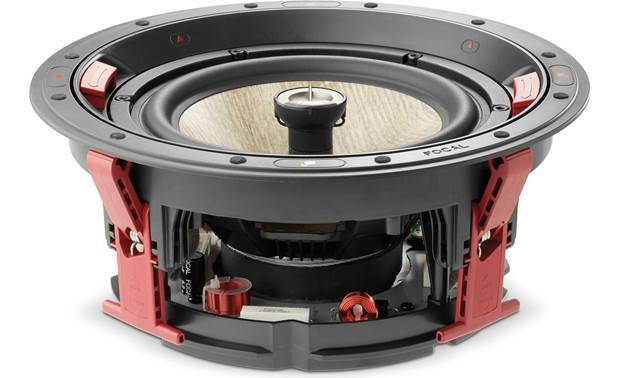 Spring-Post Terminals: The Focal 300 ICW8 is equipped with spring-post speaker terminals that will accept 16 or 14 gauge speaker wire. Magnetic Grill: The speaker comes with 2 paintable, magnetic, metal-mesh grills, one round and one square. 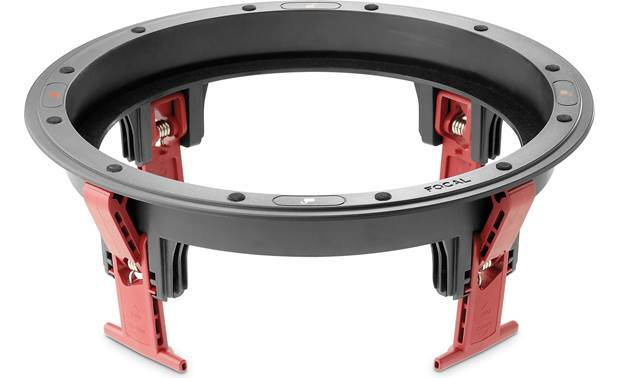 Small magnets around the rim of the speaker allow the grill to be easily placed and removed with no tools required. An optional sheet of acoustic grill cloth is provided that can be applied to the back of the grill, making the speaker drivers behind it invisible. Note: Using this will lower the overall output level a small amount. Mounting Frame: The 300 ICW8 comes with a mounting frame that will need to be fixed to a wall or ceiling using the integrated mounting clasps which can be manipulated single-handedly. 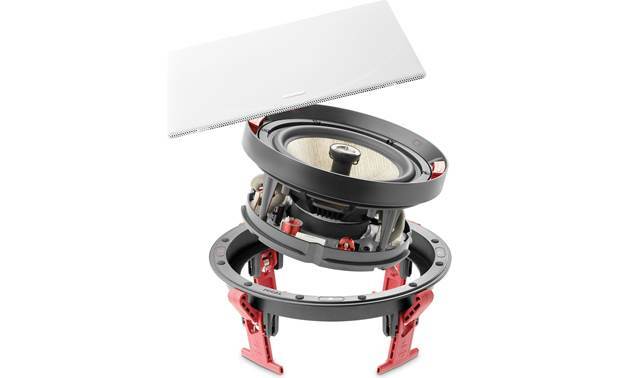 Once the frame has been secured to the wall or ceiling, the loudspeaker can be quickly assembled to the mounting frame thanks to a quarter-turn locking mechanism. Dimensions (incl. 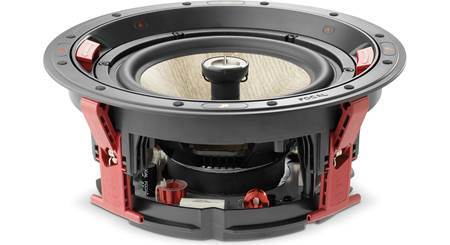 frame): Diameter - 11.752", Length - 5.0"
Searches related to the Focal 300 ICW 8 In-ceiling speaker.